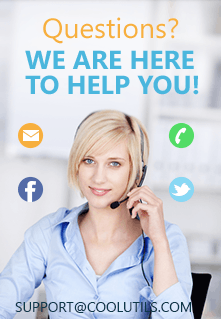 Total Thunderbird Converter Pro is an advanced Thunderbird email converter, which you can buy right now and use for lifetime. This converter accumulates the best of what today's conversion software industry can offer. Particularly, it can help you to archive your Thunderbird emails. 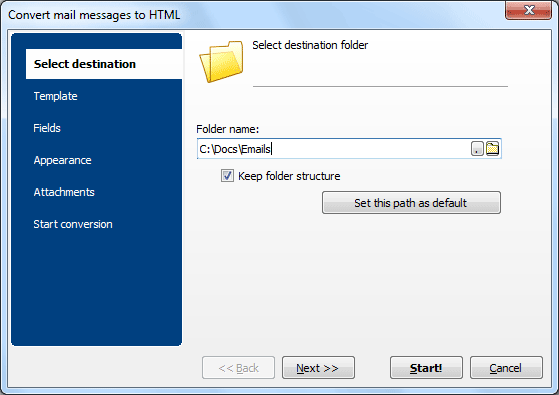 For instance, you can convert your emails to HTML and keep them in a separate folder. Later you can open and view any email with any browser. 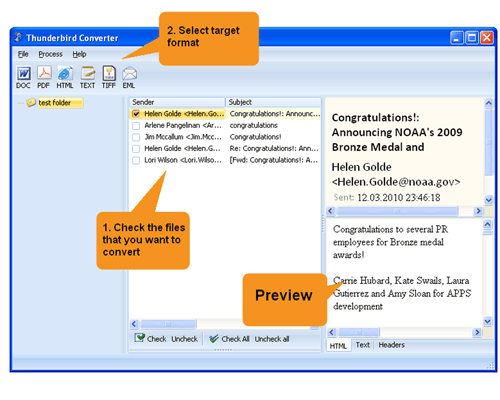 The biggest, but not the only advantage of this new converter, is a feature, which allows users to export Thunderbird emails with attachments to HTML. Therefore, if you are converting an email with an attached file, you can activate the option and save the latter as a HTML file as well. The program has an intuitive interface, which makes work easy for even a first-time user. The screen-show below demonstrates how this converter works. As you can see, this is easy game. Actually, the hardest thing about is deciding which emails you really need to convert to HTML. Select the folder with Thunderbirds emails and view the content in the viewer panel on the right. In the middle panel, check the emails, which you are going to convert. If you want to convert a whole batch of emails instead of one or a few emails, press the Check all button. The program will check-mark all the emails instantly. Select HTML in the output format bar, which is located in the upper left corner of the interface. Navigate the wizard options and make adjustments: select destination folder, specify fields to be exported, define appearance for your output files, etc. Most important, view the Attachments tab and check the options, which you would like to apply to files attached to your input emails! Select the Start conversion tab and view the settings once again prior to conversion. If you do not want to make any changes to your chosen settings, press the Start button. 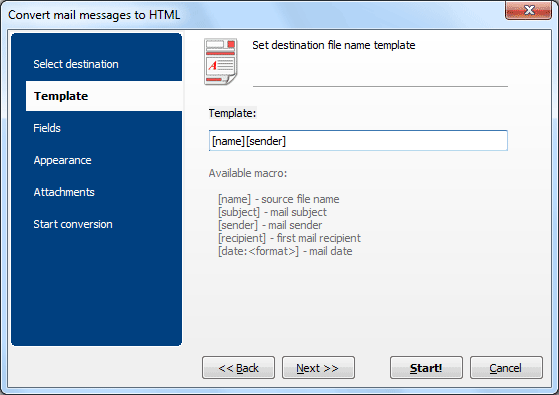 If you have read this piece and would like to see with your own eyes how this tool exports emails from Thunderbird to HTML, download the free demo version and follow the instruction. This version will work for 30 days.